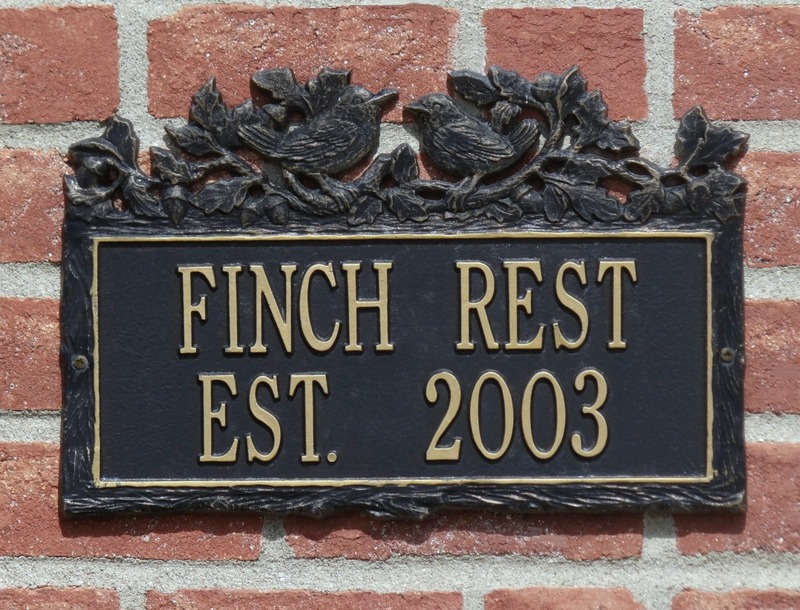 The Nest at Finch Rest: Pink, the Queen & a Giveaway! If you haven't yet been to Ruth's wonderful blog, you are really missing out. This is one gal who knows her stuff! Ruth's blog is richly steeped in history. (Pun intended.) I learn something EVERY TIME I visit there! In honour of Her Royal Majesty's Birthday (April 21st) I am having a little giveaway! One lucky winner will win this pink and green mug that says "Jasmine Tea," and also included is this pouch of loose-leaf tea! The winner will be picked next Friday the 27th at midnight EST by random number generator. 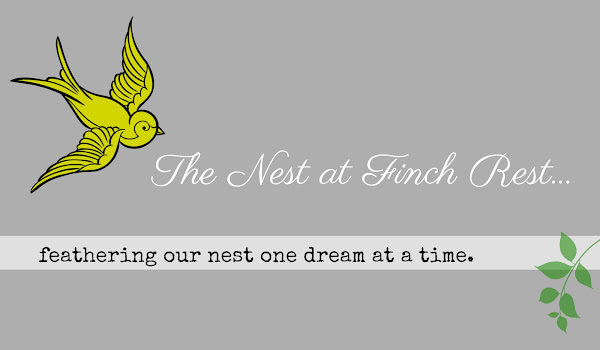 *Please be a follower of this blog, The Nest at Finch Rest. *Please leave a comment letting me know you wish to be part of the giveaway. And if you have an extra moment, please give a fond "Cheerio" to Ruth over at Time was Antiques and let her know we appreciate her over here at the Nest. I WILL NEED TO EMAIL THE WINNER - SO PLEASE MAKE SURE YOU HAVE YOUR "NO REPLY COMMENTING" TURNED OFF.................OR CHECK BACK TO SEE IF YOU'VE WON. I WILL EVENTUALLY NEED A SHIPPING ADDRESS FROM THE WINNER, OF COURSE! How Sweet the Sound for Pink Saturday! What a sweetheart you are (blush, blush) for your kind words! A great giveaway in honor of a great lady! Long may she reign! What a pretty mug, Michele! I'd love to be entered for a chance to win! Thank you for the pretty giveaway! Follower! Lovely giveaway, jasmine is a favorite tea flavor for sure. Happy Birthday with a giveaway fit for a queen! What a great giveaway! I love that pretty mug, and as much as I would love the chance to win it, I have been blessed with winning quite a few giveaways this year, so it's someone else's turn to win. Good luck to everyone! I'm a follower and would love to have a chance to win this cute mug giveaway! how sweet of you, michele! such a pretty mug--happy weekend! Well, you already know I'm a follower! Pink and green, my favourite colour combo! Pretty mug and yes, I'd love to win it! Hope you're having a wonderful weekend, my friend. Happy Pinks! Nice tribute to the Queen. Someone will be pleased with your giveaway as well. Nice post with the pink stem of flowers and the giveaway. Thanks. Love the pink! Please enter me in this wonderful give away! Please enter me in this wonderful give away!! I love the pinks! What a cute tea cup - I love to add individual tea cups to my mismatched kids tea party sets for when my grand kids and I want to be more "grown up" for our tea party fun, instead of using their cute toy tea sets. Thanks for a lovely visit for Pink Saturday. I am your newest follower and am so happy to meet you! Hope you will come by and say "Hi." love to enter in this giveaway.. Mother-in-Law shares a birthday with the queen. She is 87. Have a happy week. I didn't even realize it was the Queen's birthday! I'll have to pass this news on to my neighbor as they share the same day! I also love pink and green...best wishes on your giveaway! I hope the Queen had a very special birthday. 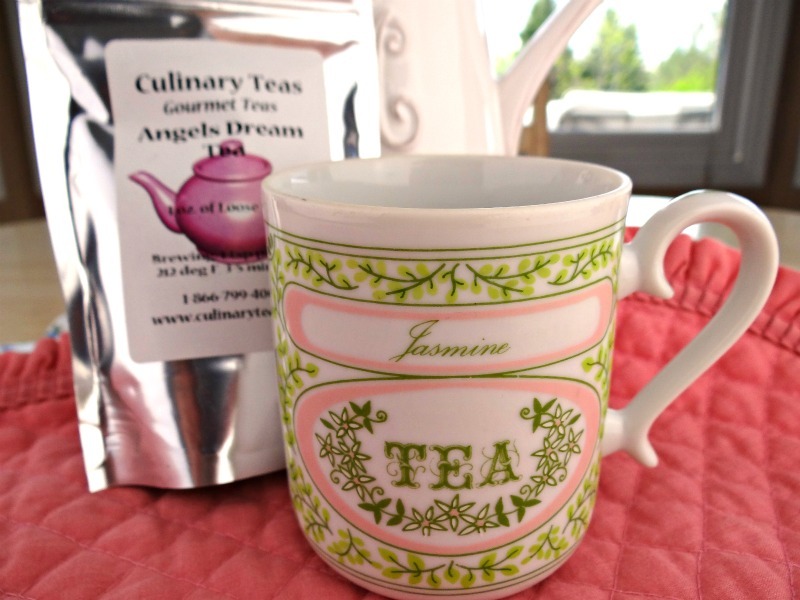 Your tea mug is so very sweet, and a very generous giveaway! I love the coloring very much. The tea looks fab too! What a great mug! Fun give-a-way! Happy Tea Day! 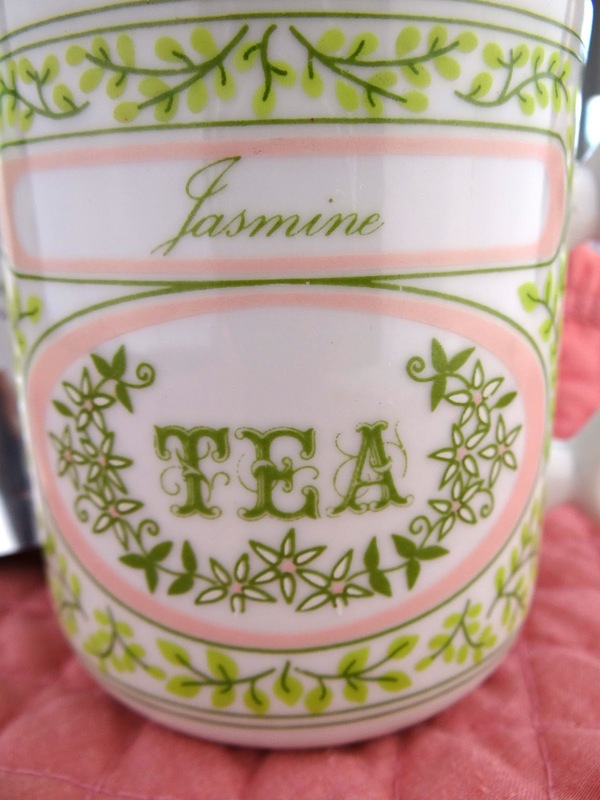 What a pretty cup--I love pink and green. 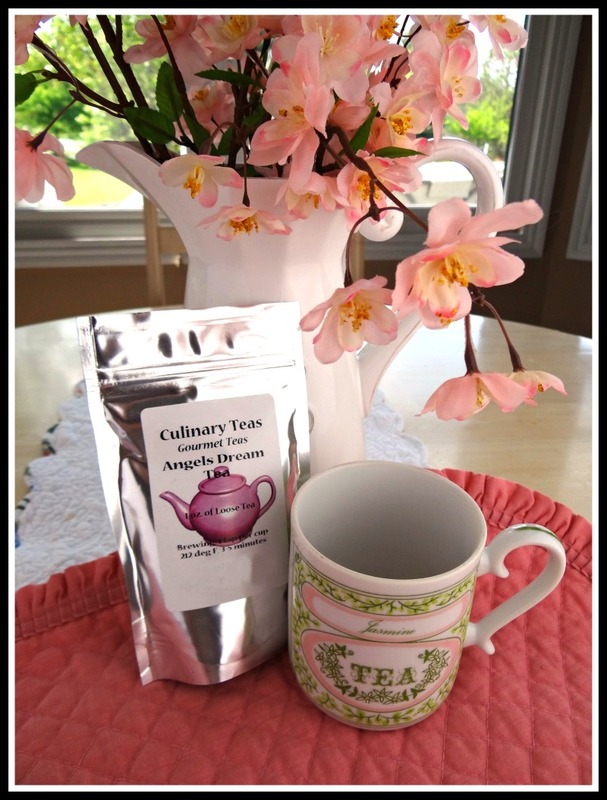 And I have had tea from Culinary Teas. Their Pumpkin Cream is my favorite. Sure would like to win this giveaway!